I'm done chasing waterfalls—Start my trial! 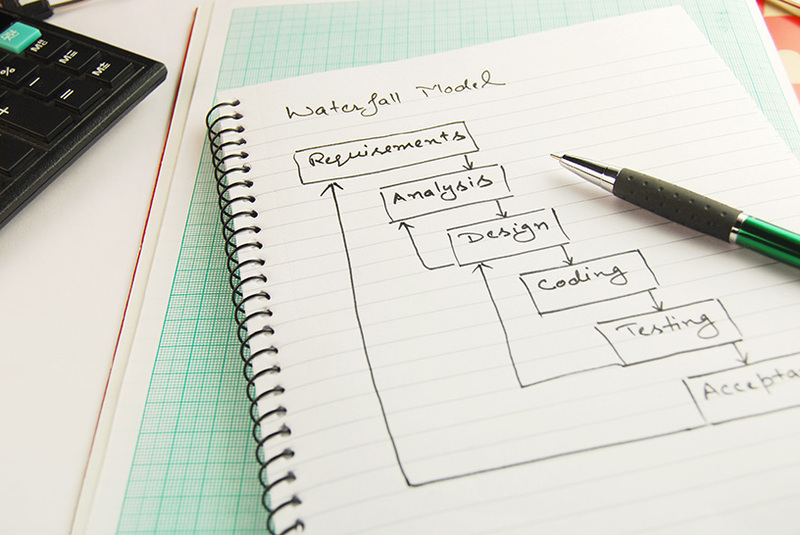 Whether they called it that or not, plenty of companies used the waterfall approach to make most of their products—software, clothes, or cars. Each person was a specialist in his or her corner of the assembly line, working on one part until it was perfect, before handing it over the wall for the next person to complete his or her task. But once it left your hands, rest assured the current took it down the line and you weren't expected to ever see or think about it again. That was great news if, at the end of the waterfall, everything was perfect and it launched with a ribbon tied around it. In the real-world business of making anything, though, it became clear that that the product was rarely ideal once it hit the bottom of the waterfall. The process was organized, but it was nonsequential and rigid. It assumes that the entire concept is conceptualized at the start of a project, and it didn't account for much feedback—let alone its implementation—or different iterations. The Manifesto for Agile Software Development, which came out in 2001, rewrote the operating manual for developers—then more commonly called programmers—encouraging behavior that was unprecedented at the time: team collaboration around a multidirectional, revisit-and-revise approach to projects. The result? More team collaboration instead of baton passing from one person to the next until a product launched. Agile is, essentially an agile manner of creating software. It's also far more holistic. All developers on the team are rewriting and testing all parts of the project. As a result, teams are much more knowledgeable about the program and, even better: more people can spot, fix, and test problems as they occur. This fluid approach becomes more and more important as clients, from small startups to enterprises, take a larger role in the testing and feedback process. In the 16 years since the manifesto was published, product lifecycles have become more dynamic and, from a workflow perspective, more collaborative. Furthermore, clients are more educated and can articulate their points of view on iterations of a project. The client care angle is a big piece of the puzzle. While it's no question that expertise and experience are required when developing any application or software project, the requirements are even more stringent for custom software development. There's no such thing, functionally, as a coding layperson anymore. In the age of the app, industry outsiders spend as much time (or more, perhaps unknowingly) studying interfaces and functionality as their developer counterparts. If we're asking software developers to not only acknowledge but encourage strong, articulate points of view from their clients, the opposite is also true: clients increasingly expect a developer who can articulate his or her thoughts clearly—think of it as technical writing in real life—when speaking about all parts of a project. "People want to be agile and do not understand the core of the methodology—which is to involve your customers in iterations to make sure the product matches what s/he expected it to be," she writes, referring specifically to gaming software development. As an example, Roche refers to early agile adopters using two-week sprints—or established milestones within a project timeline—regardless of whether that two-week time period gave developers enough time to produce something worthy of customer review. Pivotal Tracker stands with more than two-thirds of surveyed companies that say agile, in the name of collaborative workflow, more informed, educated teams, and heightened levels of customer service, is the way to go. According to a Tech Beacon survey, more than half of those companies are leaning toward agile, while some 16 percent say they are all agile, all the way. Participants in the survey cite its proven impact on product quality and team collaboration among the top reasons they've signed on. Tracker's workflow allows teams not only the flexibility, but the visibility into different workflows for multifaceted projects. Peek into Tracker's workflow capabilities here, and see where and how it can identify pain points in the often challenging and creative process of iterating. 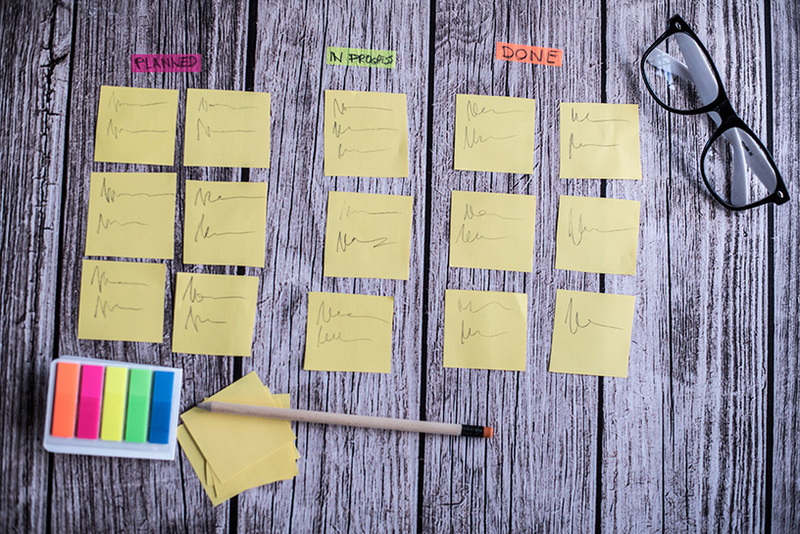 Note especially the Cumulative Flow chart, which is designed to avoid a "mini waterfall" scenario: where certain tasks may not be completed until the end of an iteration.